What Has Been Seen Cannot Be Unseen… Liverpool is in the grip of an intense heatwave, and strange things are happening. A woman dies in an apparent case of Spontaneous Human Combustion; a truck explodes on the dock road; the charred corpses of pets litter the city; forest fires ravage the pinewoods…and there are birds everywhere, silent flocks drawing in ominously. Detective Inspector Darren Swift thinks there are connections, and his investigation delves into the worlds of football, nightclubs and organised crime. But is he imagining things? Dr. Helen Hope doesn’t think so. And she believes the key lies in a mysterious seventeenth-century occult book which has gone missing from Liverpool Library. In the blistering sequel to Reprobation, DI Swift is forced to confront some inconvenient ghosts from his past, as a terrifying shadow lies over his city’s reality…. 2.Do you have a certain ritual? Not really, although perhaps I will develop one in the future. I just have some little rules for myself, such as Stop researching, you know it’s just procrastination now! And Stop checking twitter and Facebook! My writing philosophy is pretty much to Get It Down. I don’t worry too much about constructing the perfect phrase or sentence when I’m drafting, I’d rather get 2000 words of something, anything, under my belt in the knowledge that I can fix them up later. 3.Is there a drink or some food that keeps you company while you write? 4.What is your favourite book? That’s a very difficult question but I think I would say The Remains Of The Day by Kazuo Ishiguro. The subtlety and restraint of his writing is so heart-breaking. It’s exquisite. One of the few books I have read several times. Ishiguro is the master of the unreliable narrator. 5.Do you consider writing a different genre in the future? Yes. I think I ended up in crime fiction by accident. My degree is in history, and I really enjoyed writing the nineteenth and seventeenth century pastiche excerpts in Consuming Fire, so I am feeling inspired to write some historical fiction. I have a couple of ideas for stories. At the same time though, I’m loving my Liverpool series of books and if people still enjoy them I’d like to continue the journeys of Darren, Helen and Mikko. 6.Do you sometimes base your characters on people you know? No, that would be very dangerous! And quite wrong I think. I suppose there are inevitably elements of people I know in my characters; in particular their voices actually. I find it very difficult to think up names, and the mistake I made with my first novel, Reprobation, was that when I couldn’t think of a name I just assigned characters the names of my old teachers and schoolfriends. I didn’t imagine it would get published! So I had to go back and change all the names and hopefully I haven’t missed anyone! 7.Do you take a notebook everywhere in order to write down ideas that pop up? I am a very fast typist so I transcribe everything onto my laptop at the end of every day just in case I lose the notebook. 8.Which genre do you not like at all? I wouldn’t say there’s anything I don’t like, but I very rarely read romance, western, fantasy or sci-fi. I’m trying to branch out though, because you never know. I read a couple of romances by fellow Crooked Cat authors last year and I really enjoyed them. 9.If you had the chance to co-write a book, whom would it be with? Either Stephen King or Val Macdermid. A girl can dream! 10.If you should travel to a foreign country to do research, which one would you choose and why? So far my books are all set in Liverpool, a place I know exceptionally well. And Consuming Fire has a chapter set in Geneva, where I live now. So I haven’t done any exotic research trips yet! But one of my favourite characters, Mikko Kristensen, is Scandinavian, and I am planning to develop him further in future books so perhaps I’ll make a trip to Finland. Catherine Fearns is from Liverpool, UK. In previous incarnations she was a financial analyst, a cocktail pianist and a breastfeeding counsellor, but nowadays she likes to write. 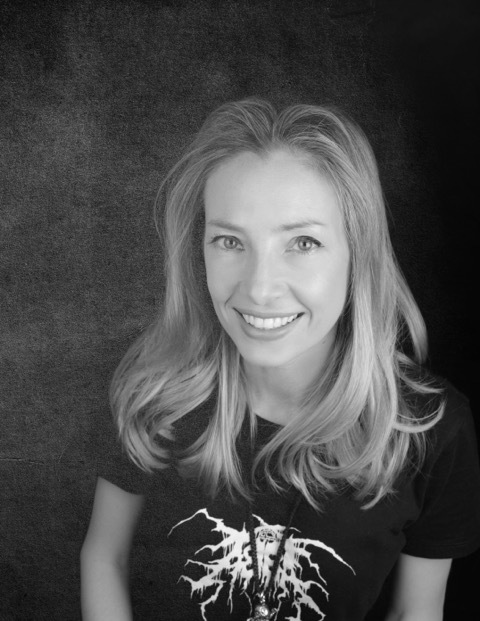 Her first novel, Reprobation, was published by Crooked Cat Books in October 2018 and quickly became an Amazon bestseller in several categories. 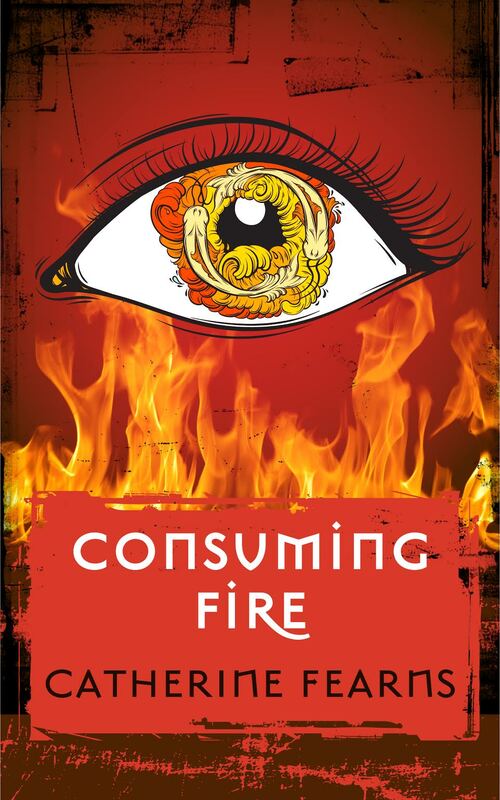 The follow-up, Consuming Fire, is currently on pre-order and will be available in early 2019. Catherine writes for music website Pure Grain Audio, and her music journalism has also appeared in Broken Amp and Noisey. Her short fiction and non-fiction pieces have been published in Here Comes Everyone, Toasted Cheese, Offshoots & Metal Music Studies. She holds a degree in History from Oxford University, a Masters from the London School of Economics, and is a member of the Crime Writers’ Association. When Catherine is not writing, she plays guitar in a heavy metal band, mainly to annoy her four children.